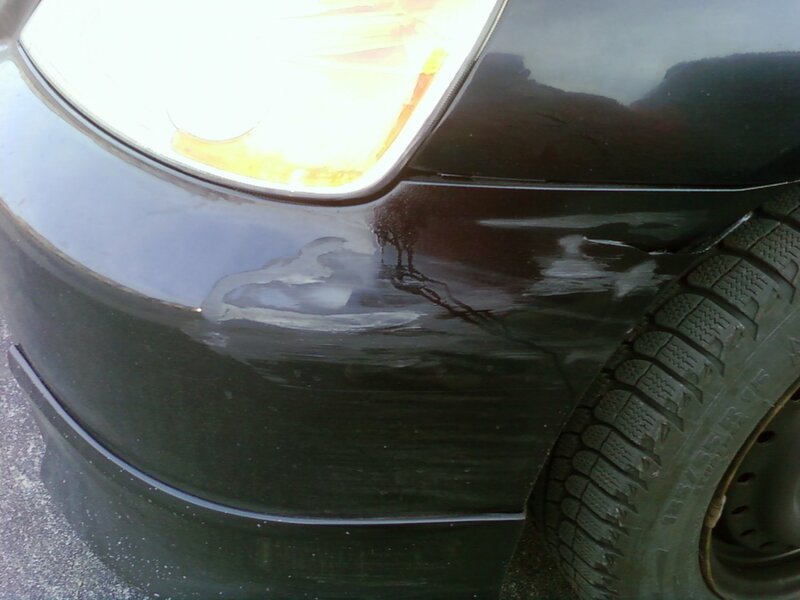 Scrapped a guardrail trying to avoid killing a dumbass kid on a bike, and now my front bumper is messed up. 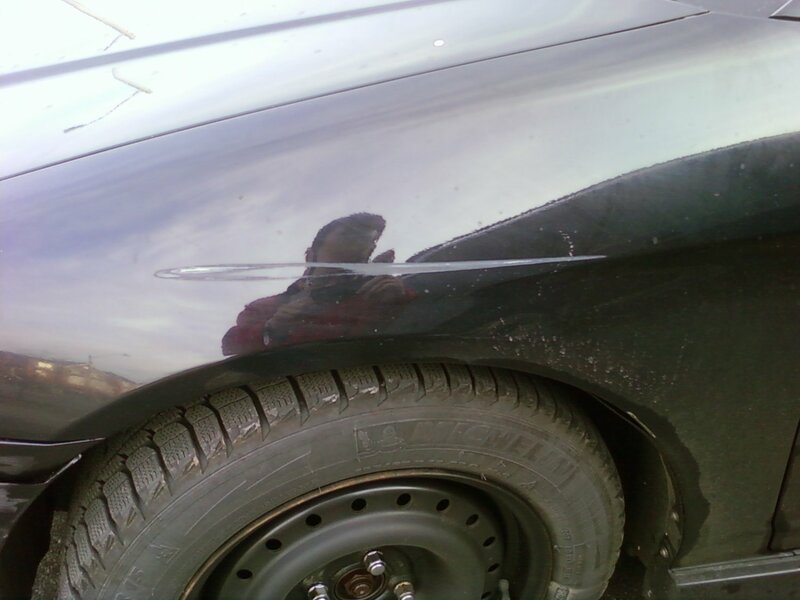 Cracked it and its scratched hopefully you can see it. 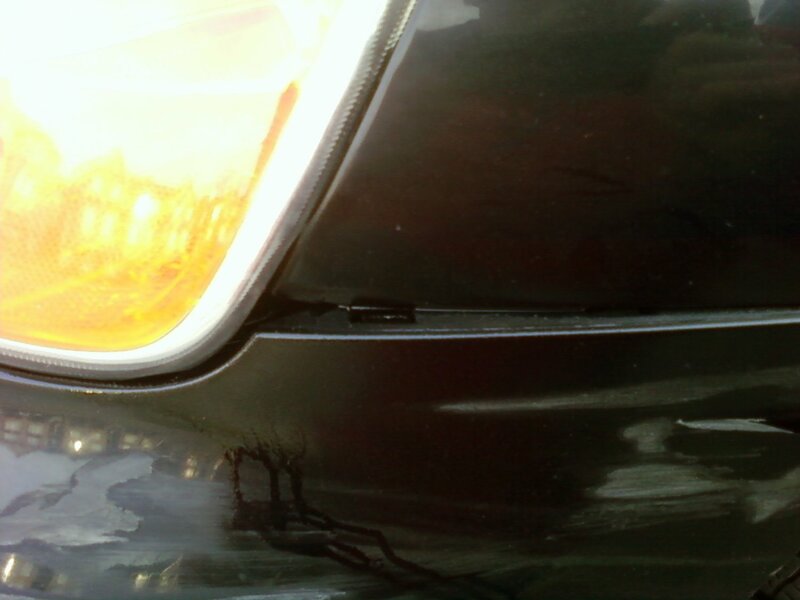 Also pushed in the metal near the headlight and nice deep scratch on the fender right to the metal. Any way to fix this? Also noticing my acceleration is getting worse and my car makes a lot of noise driving over bumps feels like the tires will fall off. Any clue what that may be? Thanks guys, first thread and totally glad to find this site, already went to Krown Lakeshore for rustproofing and next week for tinting! Looks like the bumper should be replaced. As for the noise, check the wheel for vertical and horizontal play. I have no idea why you are losing acceleration. How much would a new bumper be? Is it hard to install? 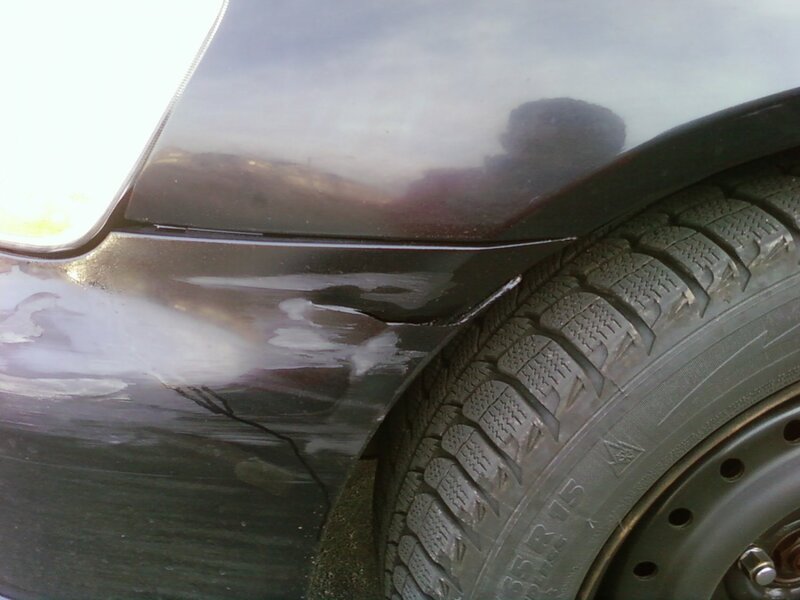 I guess I would have to hammer out the bent metal too, that seems tricky as well..
Where can I fix hood and bumper? Any recommandation for service to do timing belt/water pump? Quick Reply: Can I fix this?